Today is a special day in my world. It would have been my mother's 62nd birthday. In honor of this day, and in celebration of her, I thought I'd highlight some of my favorite mother/daughter relationships in books I've read. While some are for personal reasons, the reflections I see in my own life; others are for attributes that I admire in a mother -- especially my own mother. A mother/daughter relationship is a special bond, that even when one is long gone, it never truly breaks. It lives on through memories and I still feel her presence guiding me. 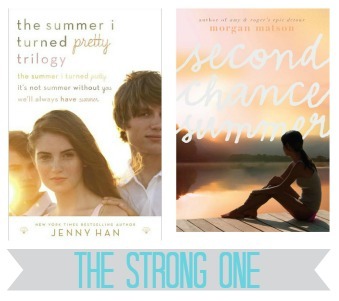 The Summer I Turned Pretty by Jenny Han and Second Chance Summer by Morgan Matson both resemble what a strong mother is in my eyes. There are two mothers in Han's Summer series that captured my heart. While one is the fun-loving, forgiving type; the other is the quiet kind of strength that you don't realize is holding you up until you've begun to crumble yourself. Matson's mother in Second Chance Summer is the epitome of what a mother/spouse is to be when times are beyond difficult. Her strength helped carry that family to a place that no one ever wants to go, but her love created peace among all the heartache. When I think of mothers, I think of unconditional love. Their nurturing begins when we're just out of the womb and even continues on til the day we leave for college. 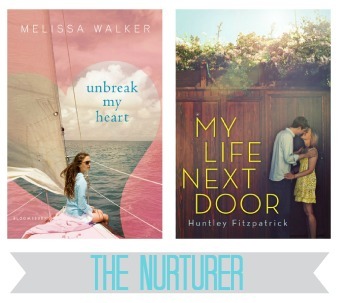 Both Unbreak My Heart by Melissa Walker and My Life Next Door by Huntley Fitzpatrick are stories with mothers that look after their children and nurture them, even when times are tough. Walker's mother in Unbreak My Heart nurtured her daughter's broken heart, but also realized she couldn't put all the pieces back together herself. It was something her daughter must learn to do on her own - and that she did, with her mother's love near by. Mrs. Garret in Fitzpatrick's My Life Next Door reminded me a lot of my own mother. With multiple siblings I always admired the way she shared her love individually to each one of us. I never felt cheated. 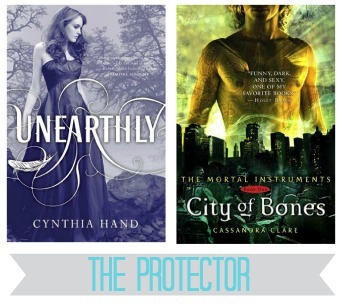 Both Unearthly by Cynthia Hand and City of Bones by Cassandra Clare represent the true form of what a protective mother should be. Even though their worlds are among the paranormal and the elements they have to face are a bit extreme, I still value the will each mother has to protect their daughter, at all costs. From bumps and bruises, to that evil villain who is threatening to take over the world (or break our hearts), it's the mother who is there to protect them from harm. I know my own mother would have stepped in front of moving train to protect me. It's just what they do. Finally, there are two mothers who I consider a work in progress. They represent what it means to be human and make mistakes, but also how to fix those mistakes and move on. The Reece Malcolm List by Amy Spalding is an example of a mother taking a bit longer (about 16 years longer) to try on her motherhood pants for size. Sometimes it's better to be late than never show up at all. 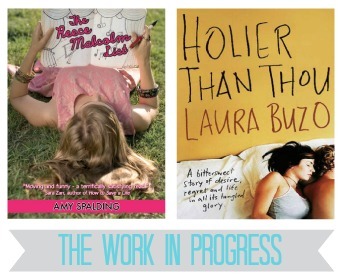 Another mother who had a few bumps along the way is portrayed in Holier Than Thou by Laura Buzo. Yes, she was a constant in her daughter's life (even through tragedy), but it took a bit of time to kindle that mother/daughter relationship. I respect these mothers because they're a true example of what it's like when life isn't always easy, and we don't always make the best decisions. When a mother/daughter relationship is told in story form it gives the reader a chance to reflect on their own lives, and their personal relationships. Each of these novels did so for me and that is why I chose to highlight them today. I think of my mother often... her strength, her love, the way she always protected me, and how her work is never truly done -- even ten years later, it lives on... through me. What a beautiful post! I personally have a great relationship with my mother, and therefore I love looking at other mother-daughter-bonds (in real life as well as fictional) a lot. I think you listed some great qualities that most mothers should (and probably do) have. Though I haven't read all of these books, I definitely want to check them out for this particular aspect alone. Thank you Judith. I hope you do get a chance to check out these books. Aside from the mother/daughter aspect they're beautiful stories for many different reasons. Beautiful post Ginger! I really liked the mother in The Summer I Turned Pretty, I need to read the rest of that series. Lots of hugs on this special day! Happy birthday to your mama -- she made some beautiful daughters! <3 And this is a beautiful post...so many of the books you listed have brought tears to my eyes! Thank you Anna <3 love you lots & lots & lots! What a sweet post! My mom has recently gotten into reading some of the YA titles I've recommended to her, I'm definitely going to share this with her--there are some of my favorites up there as well as some titles I've been meaning to read. Hopefully mom and I can read some together and chat. I love that you read with your mom. It's one of the things I wish I would have done with mine. I hope y'all can share some of these stories together. Thank you for the sweet comment, Danielle. <3<3 Such a great post G. Happy birthday to your Mom--she raised four gorgeous daughters! So sweet! I do love a good mother/daughter relationship in books, but sometimes I feel like they're always strained in YA books. I love coming across one that falls under these categories! I agree Candice, it's nice to come across healthy mother/daughter relationships sometimes, too :) and thank you! Happy birthday to your mom, who I am sure can see this post and LOVES it! I think you did such a good job picking out books with very strong mother figures in them. The qualities you pointed out, and the categories, they're all very fitting and beautiful. I love the thoughtfulness with which you wrote this post and I truly think that these mothers are portrayed so well by the authors. You are so sweet Alexa, thank you. 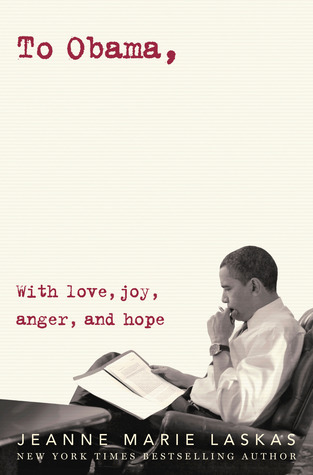 I hope you get to read those other 2 books soon. Besides the mother/daughter aspect, they've got such amazing stories too. Awww, what a sweet post! I also like it when YA novels show mother-daughter relationships that I can relate to (or seem healthy/realistic). They must be pretty rare, because I can't even think of any to add to your list up there! Love this post, G <3 AND YOU! You'd make your mom proud. There's nothing I love more than a strong Mom & Daughter relationship in books, because that's what I have. It's heart-warming (and rare, because there are so many deadbeat parents in YA) and I always smile when I read about them. I was catching up on blog commenting when I saw this post and I adore it. :) As a teenager, it bothers me when parent-teen relationships are depicted as a constant battle, a power struggle between increasingly independent teens and overprotective parents. There is nothing wrong with experimenting with new things (safely) and there is no problem with wanting the best for your children. A lot of families can find the right balance between these things and I love YA books that don't assume all sixteen year olds just want to go out an party and OMG their mom is SO LAME for making them have FAMILY TIME. Oh, and happy birthday to your mom! I'm sure she was a fabulous one! This is such a lovely idea! Thank you for sharing these ideas and for honoring your mom in this way! What a great daughter (and overall person!) you are!